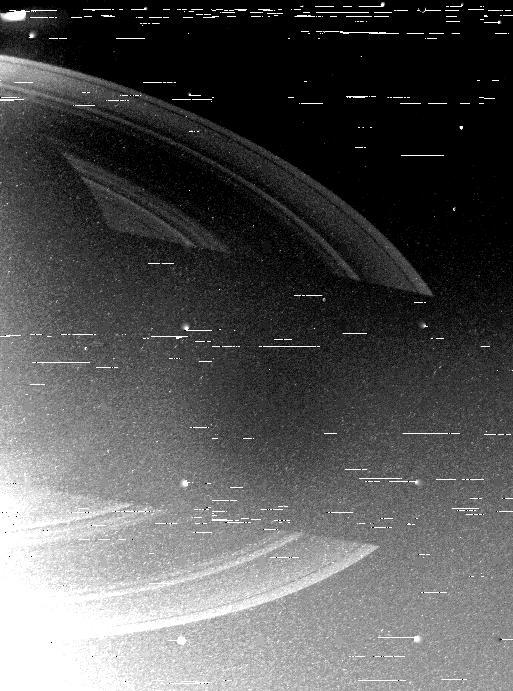 Voyager 2 returned this wide-angle, clear-filtered image of the shadow of Saturn upon the rings just after engineers at the Jet Propulsion Laboratory successfully commanded the camera platform to point to the planet. Problems with the platform had prevented the spacecraft from returning photographs the past few days. This first picture after the repair was obtained the evening of Aug. 28, when Voyager 2 was 3.2 million kilometers (2 million miles) from the planet and racing away at more than 26,000 mph. 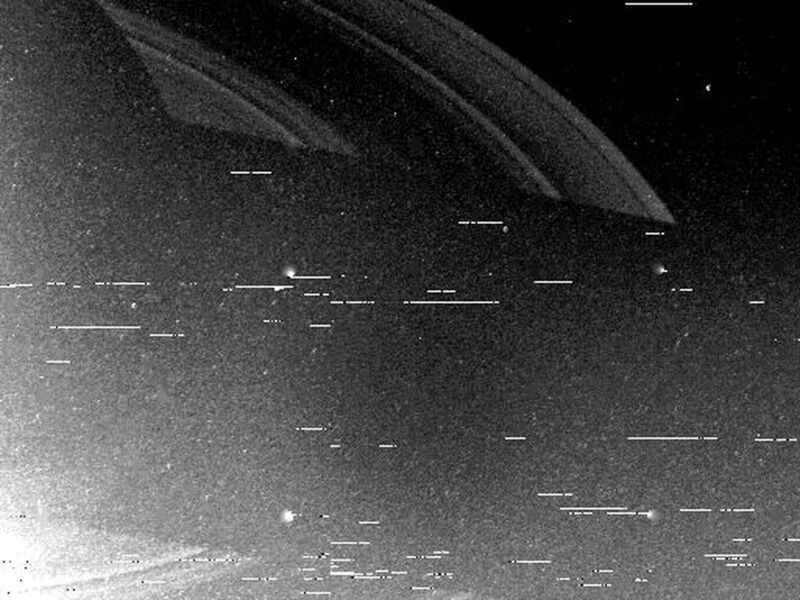 Saturn's nightside can be seen at upper left, with the shadow cast by the planet falling across the rings in the center of this image. 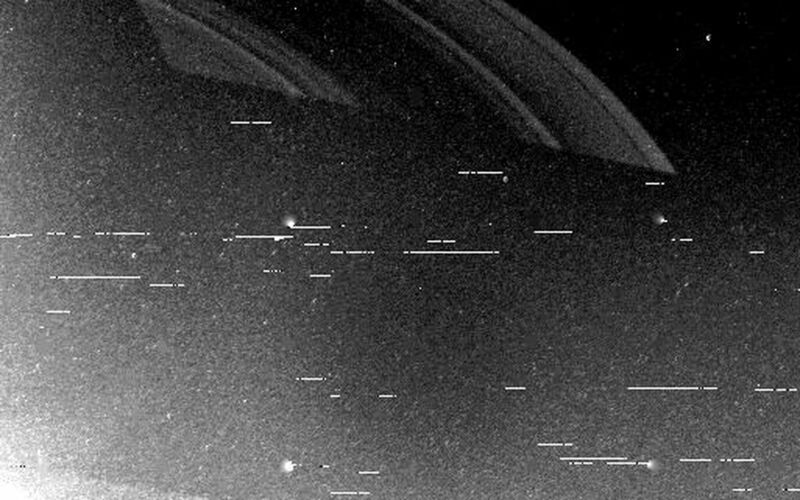 The white lines, or "noise," across the photograph are the result of temporary ground communications troubles between the Australian Deep Space Network tracking station and Voyager mission control in Pasadena. The picture was received in Australia in perfect condition; the noise will be removed in subsequent processing. 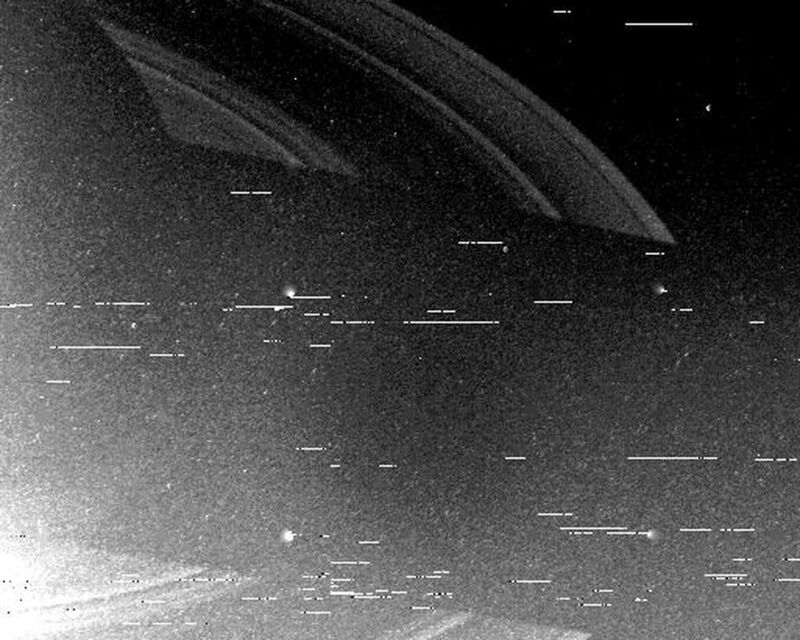 The Voyager project is managed for NASA by the Jet Propulsion Laboratory, Pasadena, Calif.